Gov. Martin O’Malley suggested a review of the state’s procurement process at the July 11 Board of Public Works meeting. The state needed outside procurement experts to “pull this apart and tell us how we can put it back together in a way that prevents fraud and abuse, but also allows us to make more timely and intelligent, predictable procurements,” O’Malley said. While there have been procurement workgroups and task forces over the years, several headed by Morhaim himself, the delegate said that in the end, it’s an executive agency decision. The Board of Public Works is charged with considering most state contracts exceeding $200,000. Most procurements are routine –– capital improvements, land and water preservation, sale or purchase of property, school construction projects –– but others can raise eyebrows. In June, the Board approved up to $8.5 million for the Juvenile Services Department to place less than 20 youth out-of-state over the next three years. Last month, the University of Maryland, College Park’s business school was awarded up to $3.7 million over two years for events’ catering –– a service which could be provided by the university’s dining services. 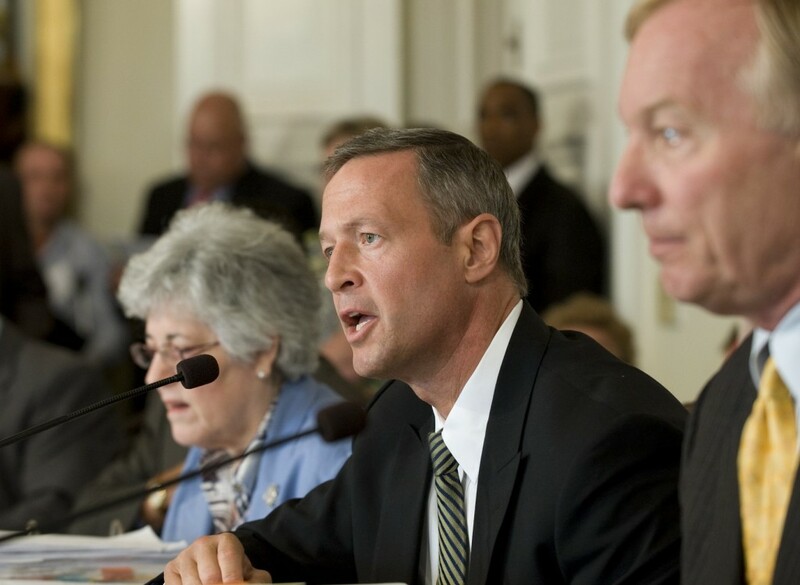 O’Malley’s remarks came on the heels of a controversial Human Resources Department contract. While the Board extended a $4.3 million contract for a child support enforcement call center, the Department wishes to look for new bidders. At one time, all 24 jurisdictions’ schools bought things separately. Establishing a school buying consortium bill, which allowed public and private schools to purchase together, launched him into the procurement world. “Buying 10 basketballs there and 20 basketballs there is still a basketball so why not buy together and pass on the savings?” Morhaim said. The move saves 8-10% on purchasing costs per year, or about $400 million. The overall state budget is $34 billion; 1% would be $340 million.